Order your Montegrappa Fortuna Blazer Fountain Pen today from FahrneysPens.com. Fine Pens, Refills & Luxurious Gifts – great prices & fast shipping. An enticing mix of scotch, boiling water and powdered sugar, the Blue Blazer (concocted 155 years ago) earned its incendiary name as the first cocktail to undergo the touch of the flame. Most distinctively, the drink is prepared with two large tankards, between which the stream of flame travels. The Montegrappa Blazer is based on the Fortuna pen model, with its cap and body forged of fireburnished stainless steel. 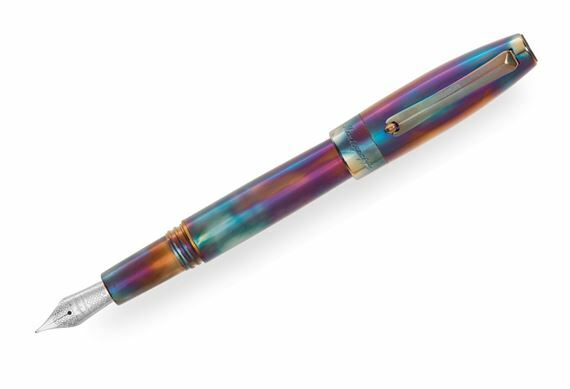 The polished steel surface of the pen basks in bluish, iridescent shades, just as a heated metal would do. Familiar elements of the Italian brand include the rolling ring clip, and the high-quality steel fountain pen nib engraved with the Montegrappa filigree pattern. Available in fountain pen, capped rollerball and twist ball pen, your Montegrappa Blazer will acquire its own unique patina over time, making each a one-of-a-kind finish. Cartridge/converter fill. BONUS! 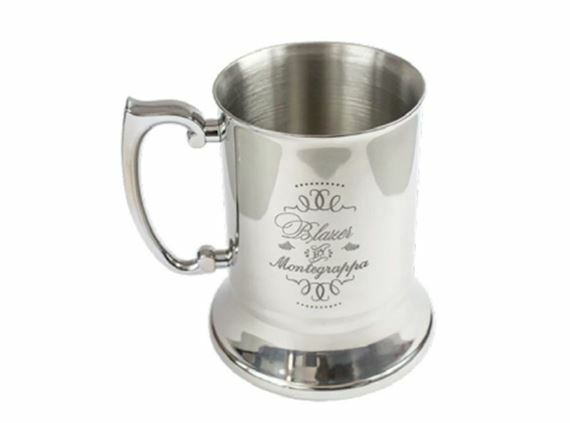 Every Montegrappa Blazer pen will be delivered with a special Blazer tankard as your free gift. Cheers!